Every Instagram marketer dreams of finding a faster and easier way to gain more followers and improve their engagement rates. Instagram automation tools are a great way to achieve this. Since there are so many of these Instagram growth tools available, it’s important to know which ones are the safest and most effective. 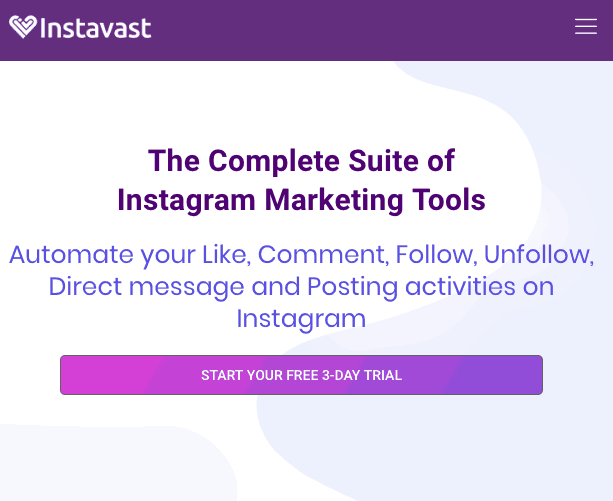 If you’ve been researching tools to help with growing your Instagram account, then you’ve probably heard of Instavast. This tool claims to offer a complete suite of marketing tools for Instagram. But, is it safe? In this Instavast review, I’ll go into detail about its key features, pricing plans, and the pros and cons of using Instavast for Instagram growth. I’ll wrap up with my final thoughts on whether or not you should use Instavast. 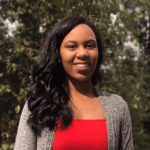 Before diving into discussing the safety and effectiveness of Instavast, it’s important to note that there’s always a risk involved with using an Instagram bot. Many of the actions performed by these tools go against the platform’s guidelines. Although this risk exists, you can lessen it by using bots wisely. You can reduce your chances of triggering Instagram’s detection tools by not overdoing it with your interactions. Instavast is a web-based automation tool that promises to help with growing your Instagram following. This application claims to do this by promoting and managing your account. Instavast offers basics automation functions. These functions include scheduling posts, liking posts, commenting on posts, and following accounts. Instavast can also message other accounts on your behalf. Instavast markets its growth formula as a three component process. These components include Curiosity, Automated Activity, and Growth. According to Instavast, you should engage with and follow other accounts to create curiosity around your brand. Instavast relies on this theory to help its customers gain authentic followers. From there, Instavast focuses on automating your activity. This step involves liking and commenting on posts and following accounts. Instavast refers to this as the promotion aspect of their system. This automation tool promises that their method and services will help your brand to gain exposure and new followers. Instavast offers a free 3-day trial for its tools. This program doesn’t require a download, and you can use it directly in your web browser. You can sign up with your email address or through your Google, Vkontakte, or Twitter account. Instavast offers full automation, so using it will definitely save you time. This tool can be completely automated, and you can run it for 24 hours a day. However, it’s important to be careful with this feature. Having your account automated for 24 hours a day can trigger Instagram’s detection tools. It can cause your account to frequently surpass Instagram’s interaction limits. This can lead to having your account disabled or banned. Instavast allows you to target your engagement efforts to reach users with an active interest in your niche. You can target your audience by entering hashtags that are relevant to your niche or industry. This tool claims to use intelligent filters to help your account gain engaging followers. Instavast claims that no one will realize that you’re using a bot when using their service. They also claim that they won’t violate your account limits. However, many users can tell if you are using a bot, especially if you’re automating your comments. In my opinion, this promise depends on how you choose to use the tool. Instavast offers statistics and analytics to help you keep track of your growth while you use the tool. You can use this information to modify your targeting approach and determine the next step in your marketing strategy. With Instavast, you can connect as many Instagram profiles as you want. You can keep track of all of your profiles under one Instavast account. It’s also easy to keep track of all of them in one dashboard. Instavast’s Instagram bot is just one of the tools that it offers. You can also try out Instavast’s other Instagram marketing tools. They have Automated Instagram DM, an Instagram Post Scheduler, and an Instagram Comment Manager tool. You also have the option to buy likes and video views. This function allows you to send an automated direct message to anyone who follows your account. You can also send mass messages to specific groups of accounts. With this tool, you can send as many as 200 direct messages each day. This function allows you to schedule an unlimited number of posts. Not only can you schedule your posts, but you can also schedule the first comment with your hashtags as well. Instavast also allows you to add a watermark to your images so that you can ensure that you’ll get credit if it’s reshared. You can also like, delete, and reply to comments using this tool. This function enables you to monitor, read, and reply to your comments. You can use it on any device. The Instagram Comment Manager makes it easy to keep an eye on your comments section and quickly delete any inappropriate ones. This is a questionable service that Instavast offers. They promise that the likes and views that you purchase will come from real users. This service blatantly violates Instagram’s guidelines, so use this service with caution. Let’s start with the positive aspects of Instavast. The most notable advantage to using Instavast for Instagram growth is the affordable pricing. 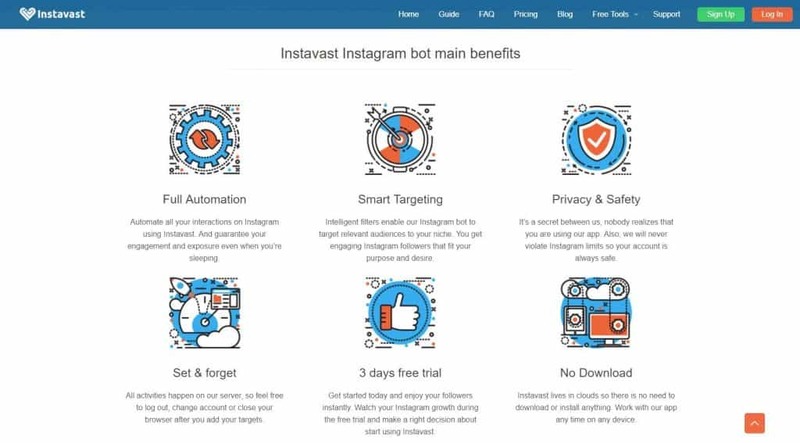 You can use Instavast’s Instagram bot for only $10 each month. This tool also allows you to connect as many Instagram profiles as you’d like. It’s important to note that Instavast’s $10 monthly price isn’t all-inclusive. Instavast prices each of its main features separately. For example, let’s say you want to use Instavast’s Instagram bot, and you also want to automate your DMs. You’ll have to pay an additional $10 for the DM automation service, so you’ll be paying $20 instead of $10. I also like the “set and forget” nature of this tool. One of the main reasons for using an Instagram automation tool is to save time. This tool keeps running even if you log out or close your browser. Instavast has no limits on the number of profiles that you can add to your account. If you’re running multiple Instagram accounts, then you’ll enjoy this feature. This is a good option for social media marketers and businesses with multiple Instagram profiles. Another good thing about Instavast is the fact that you don’t have to download any software to use it. I’m not a fan of automation tools that require you to download additional software (especially if it’s not compatible with Mac OS). You can use Instavast on any device which is great if you’re a marketer who’s always on the go. Instavast is also pretty secure to use. Their website is secure (“https” in URL), and you can make your monthly payments via PayPal. Although Instavast has a few positive features, there are many disadvantages to using this automation tool. One of the most glaring disadvantages that concerns me about Instavast is the high likelihood that it will be shut down. Instagram has shut down several similar services in the past. Instavast does several things that may raise red flags for Instagram. Instagram’s brand guidelines prohibit third party apps from using “insta” or “gram” in their names. It’s only a matter of time before Instagram reaches out to Instavast about a name change. The fact that Instavast sells engagement is also a big red flag. Instagram frequently does purges of fake followers and engagement. Instagram’s detection tools can usually tell when your engagement is not authentic, and they may remove your purchased likes. Repeatedly violating this guideline can cause Instagram to ban or disable your profile. Purchased likes also won’t do much for you if you’re using Instagram to grow your business. It’s highly unlikely that you will convert any of these likers into paying customers. You can also hurt your brand’s reputation if your potential customers find out that your engagement is inauthentic. Instavast also doesn’t have any real onsite reviews. Their testimonials section contains reviews, but they are obviously vetted and posted by Instavast. It’s difficult to tell whether or not these reviews are authentic. For that reason, I take them with a grain of salt. If you’d prefer an Instagram automation tool that offers 24/7 customer service, then you may not like Instavast. The only way to get assistance from their customer service team is to submit an email ticket. This can be inconvenient if you need help in a short amount of time. But, they do have an FAQ page and a guide available on their website. Some might also find Instavast’s pricing structure to be a bit misleading. They market themselves as the most affordable Instagram bot, but that’s only if you want to use their basic automation features. If you want to use their post scheduler, automated direct messaging function, and comment management tools, you’ll have to pay extra. To use only Instavast’s bot features is only $10 monthly, but if you want to use the other three features, you’ll have to pay $10 extra for each. So, the price for their full suite of marketing tools is actually $40 per month. There are other automation tools with all-inclusive pricing that cost less. The Last Word: Should You Use Instavast? If I were you, I’d stay away from using Instavast. The main reason for this conclusion is the risk of having your account banned or disabled. Using any automation tool is risky, but Instavast has a lot of features that make it more likely to face scrutinization by Instagram. The use of “Insta” in its name and the fact that they sell engagement are major red flags for me. This tool is definitely in danger of eventually being shut down by Instagram. The platform has previously asked for third party apps using “Insta” or “Gram” in their names to change their names. Instagram could shut down Instavast at any moment. If, or when, this happens you will lose valuable information such as the statistics and analytics that Instavast stores for you. Instagram could also penalize your account, especially if you’ve purchased likes or video views. Another reason why I wouldn’t suggest using Instavast is its pricing structure. While it’s basic automation features are pretty affordable, you won’t get the additional features. You’ll have to pay extra for post scheduling, automated DMs, and comment management with this price. Although they market their tools as costing only $10 monthly, you’ll pay $40 for the full suite of features. There are plenty of other alternatives that include these features for much less. You’ll get more for your money at a lower risk with another Instagram automation tool.